This morning, I was waken up by another earthquake. It sounded like someone pounded on my bedroom window and shook my loft bed… and since I was up on my loft bed, I thought to myself that I need to get down, just in case. I then saw on the news that it was another 3.7 magnitude earthquake and the epicenter was about at the same location as yesterday’s earthquake; about 6 miles south of us. I’ve been watching YouTube quite a bit lately and have learned a lot about gardening, sewing, quilting, cooking, DIY projects, etc. There are several YouTubers who I admire and watch regularly… and this got me thinking… Maybe I should make some videos to add to this blog… So later this afternoon, I got out my FlipVideo MinoHD camera which I hardly use, since I don’t really do much video, and gave it a try. I got this camera as a gift for being the employee of the year at my previous job. My first attempt was just an introduction to my seedlings in newspaper pots sitting in the front yard. I basically, showed my various Bok Choys, Chard, etc. It was though getting into it, but after a while I just kept talking and talking… which was weird, because I felt like I’m talking to myself. I then shot another video of me transplanting my Daikon seedlings into a Dirt Pot fabric pot. I’m trying an experiment to see if how well Daikons will grow if I sowed them indoors under grow lights until they have sprouted for about 3 day, then hardening them off outside for a day or two. They were a bit leggy, but I buried them deep so the first set of leaves where just above the soil line. I haven’t had any luck growing Diakons in the past and hopefully this method may work, since it’ll be in full sun in the front yard. I noticed that the volunteer Bells of Ireland plant was all dried up, so I pulled it up and collected its seeds. The bract-like stuff surrounding the seeds were aged and looked like lace… (I can’t think to the word for this process)… Many of the seeds already fell, so we should have some volunteers, but I’ll still plant all the seeds I collected into a 1-gallon pot to winter sow. I’ll transplant them once they sprout and develop a few leaves. A bunch of plants in pots are in need of a bit of soil replenishing, before they started actively growing. First, I just added compost, azomite and worm castings to a small Daylily ‘Frank Hals’ pot to bring up the soil line. I then emptied the pot of Orange Bottlebrush Ginger which really needed repotting. The roots were massive and winding around several times. There were two distinct branching of the Ginger corm and I decided to divide it in two. I didn’t really know what to do, so I just pretended it was a Bearded Iris. I cut a majority of the root ends leaving about 4 inches on the corm and broke away the oldest corm segments. I then repotted the two cleaned up corms into a larger 5-gallon pot. I hope this encourages this Ginger to flower. Its only flowered once in the past and I was away, so I didn’t see it. I found another small pot of a Peruvian Daffodil which I think will benefit with new soil. I dug the bulbs up and there were 5 healthy bulbs all close together. I can’t remember how many I originally started with and I can’t seem to find a record of when I bought these. I spread the bulb apart and repotted them with some added compost, azomite and worm castings. I discovered a website called Xtranormal, where you can create animations that speak your text… So I gave it a try and made a birthday greeting for my friend Janet. I love Kale Chips and made a batch yesterday. I didn’t have much Lemons, so I used some freshly squeezed Kalamasi juice which worked as well. 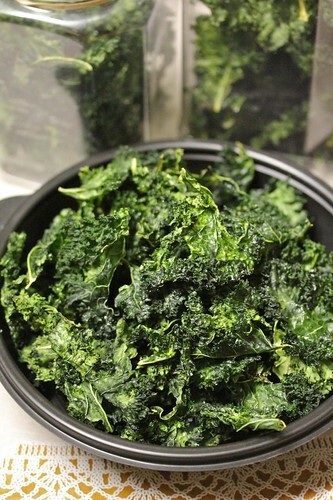 I was surfing the web and discovered another Kale recipe that I would love to try called Massaged Kale Salad. It’s made by Aarti Sequeira (winner of last year’s Food Network Star). 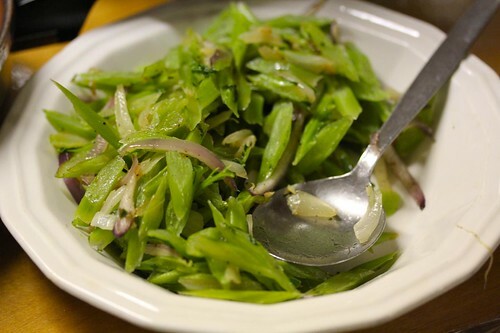 Click the link below to watch a video of her make the salad. These are Cerinthe that I sowed on February 23, 2011. This is their growth from Feb 27 to Mar 3. I wish the photos were clearer. I had the wrong focus setting. I just happened to catch the Gourd Lady on the Tonight Show. 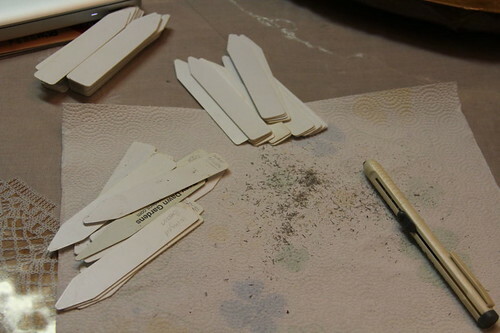 I’m erasing some used plant labels, so I can reuse them. Janet’s new video of ‘Nothing’, the theme from Why Did I Get Married Too? 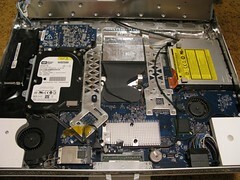 On Christmas Eve, my 20" iMac’s hard drive began to fail and intermittently work and not work. When I tried using my account, the spinning rainbow ball would just spin and spin and it would take forever to get something to work, so I remembered just forcing the iMac off by pressing the power button. After a while, it eventually died and all I got was a flashing folder icon with a question mark… so the iMac would no longer start. I talked with an Apple Support person about a week ago and they told me the the iMac had all the symptoms of a dead hard drive. He said that since it’s out of warranty, I can either try to fix it myself by buying a new hard drive and installing it myself. 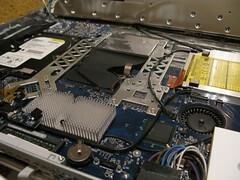 He even suggested searching YouTube for "hard drive iMac replacement". The second option was to bring it into an Authorized Apple Center, which was Macvolk in Concord. I opted for the later, since the videos on YouTube were really intimidating… plus I tried to replace the hard drive on my Mac mini and I think I killed it, since it does work. I called Macvolk, and told them I would try to find a day off and bring it in. I also decided to document it by taking time lapse photos of my progress. I use my regular XSi camera, but I also used my new PlantCam time lapse camera. So after I got the hard drive replace and iMac put back together, I restarted it with a Mac OS X install disk and it worked… It took a while to install the base Mac OS X, since the hard drive was blank… so I left to continue overnight and now I’m installing other programs into it.